We're a little later than normal with the European Nintendo Download Update details today thanks to a bit of confusion, but in any case our pals at Nintendo Insider have helped us out, so a big hat-tip to them. This week brings plenty of Virtual Console goodness across both Wii U and New 3DS, along with some promising download-only releases, discounts and DLC. Let's get to it. Secret Files: Tunguska (Deep Silver, €4.99 / £4.49 until 4th August, normally €9.99/ £8.99) - This one actually arrived at retail in Germany quite some time ago, and finally makes its way to the rest of the continent at a tempting price point on the eShop. A fondly regarded point-and-click puzzle adventure that's previously been on multiple past-gen Nintendo systems, we'll find some warm clothes and take this on for a review. 3Souls (Red Column, €3.60 / £3.20) - An intriguing release that aims to put the GamePad to work, utilising the second screen to show a character's emotions along with some other uses. This title also includes co-op, and we'll see how well it delivers on its ambition in a review. Letter Quest Remastered (Digerati, €7.99 / £7.19 until 11th August, normally €9.99 / £8.99) - A word-based game which employs turn-based RPG elements, this certainly has the potential to deliver some thrills for wordy gamers. We'll dig out a Thesaurus and let you know what we think. Dragon Skills (Joindots, €7.99 / £6.79) - A title that takes its inspiration from the classic Brick Breaker formula, in this case you paddle a ball back and forth that has an ever-growing tail, with bonuses piling up the longer you survive. We'll break out our rose-tinted specs and bring you a review. 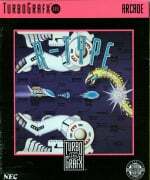 R-Type (Konami, €7.99 / £7.19) - The first of a triple arrival of TurboGrafx-16 titles on the Wii U Virtual Console, having previously been part of the extensive VC on Wii. This is a very decent port of the classic arcade shoot 'em up, which is regarded both as one of the greats of its genre and as an extremely challenging title. You can check out our Wii Virtual Console R-Type review while we work on a fresh perspective on Wii U. 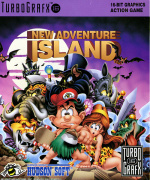 New Adventure Island (Konami, €5.99 / £5.39) - Another TurboGrafx-16 title, and another good 'un. It can be argued that this is one of the best titles featuring Master Higgins; it has bright visuals and smooth controls, along with a clever mechanic in which your health depletes with the passing of time, making every move count. We praised this a great deal in our Wii Virtual Console New Adventure Island review. 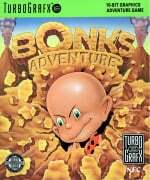 Bonk's Adventure (Konami, €5.99 / £5.39) - A third TurboGrafx-16 release, originally brought to the Wii VC by the now defunct Hudson. A rather colourful and conventional platformer in which you headbutt enemies, it also has some humour for extra flavour. We gave it a modest recommendation in our Bonk's Adventure review. 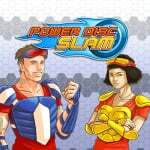 Power Disc Slam (Chequered Cow Games, €11.99 / £9.99) - This 3DS title is, in spirit at least, a modern take on Neo Geo title Windjammers, albeit with modern features such as online multiplayer and 60fps stereoscopic 3D. It promises quite a lot of content, so we'll throw ourselves into it for a review. Psycho Pigs (Bergsala Lightweight, €7.99 / £7.19) - A quirky arena brawler that cites a 1987 Jaleco game as its inspiration, you battle it out as pigs while trying to use the environment as an asset. We'll see whether it's tasty like bacon of hammed up nonsense in our review. Street Fighter Alpha 2 (Capcom, €7.99 / £7.19) - Although the original never arrived on Nintendo hardware, this sequel brought a taste of the arcade action to the Super NES. A spin-off from the core franchise, it utilises custom combos along with some fresh characters and a different art style; we were big fans of this in our Street Fighter Alpha 2 review. Street Fighter II Turbo: Hyper Fighting (Capcom, €7.99 / £7.19) - This entry is more the typical Street Fighter action that's associated with the 16-bit era; in this one's case it has less flat-out content than its successor below, but does play faster courtesy of the Turbo options. We weighed it all up in our review for the Wii U Virtual Console release. Super Street Fighter II: The New Challengers (Capcom, €7.99 / £7.19) - This entry lacks the speed of Turbo Hyper Fighting, but boasts more characters and modes to choose from; on some metrics its better, but those that crave speed will disagree. In any case we gave it a strong recommendation in our review. Fire Emblem Fates - IV: Light's Sacrifice (Nintendo, €1.99 / £1.79 or part of map pack 2) - Part IV of Heirs of Fate. Fire Emblem Fates: V: Endless Dawn (Nintendo, €1.99 / £1.79 or part of map pack 2) - Part V of Heirs of Fate. Fire Emblem Fates: End: Lost in the Waves (Nintendo, €1.99 / £1.79 or part of map pack 2) - Heirs of Fate finale. Nothing again for me this week. It's good to finally see TurboGX16 games on Wii U though it is far too late. There's no "Nothing for me this week" option in the poll voting. 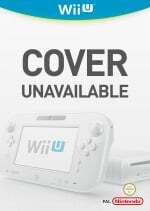 Shouldn't "Secret Files: Tunguska" be listed under Wii U Virtual Console? And I presume by its price that it's the DS version. It was also on Wii. Both versions were middling. Street Fighter fans should be pleased, I guess. Finding it curious that all the PC-Engine games are from Konami (incl. Hudson). I'll definitely be getting the TG16 games I think. I really hope we can get the PC Engine version of SFII Championship Edition, it's the only version of SFII I'm any good at! Curious about 3Souls, but I'll wait for reviews first. Secret Files and Shadows Tale (VC last week) are both games I recently purchased for the Wii (physical). I might buy some GC games and see if this trend continues and we get some GC games on the VC next week! @SLIGEACH_EIRE Obviously, "R-Type" and "New Adventure Island" are the other two TG-16 releases. The price for R-Type can't be right can it?I can't think of any reason why it would cost £1.80 more than the other 2 TG16 games.I would have bought it but I'm certainly not paying £7.19 for it. Edit: I just had a look at the NA prices for TG16 games and R-Type was more expensive there too.I wonder why that is? The list of usual suspects are out again for 3DS discounts. Not keen. I would love to download Angry Video Game Nerd Adventures, but somehow I can not find it in the german EShop. Anybody got any idea, what's going on there? I can't imagine the 16 bit Streetfighters on 3DS being good for the thumb. I keep reading Rock 'n Roll Racing only to be disappointed every time. Tunguska, the turbo graphics games and prob all the Street Fighter 2 games for me this week. Just Fates DLC but it's nice Europe is getting the TurboGrafx-16 games NA got recently. Interested in New Adventure Island...until I saw the price. @tysonfury hope you are right on this! Do you thing we will get the mega drive games on the wii u VC at any point?? @wazlon Why? New Adventure Island is a great game and a great entry in the Adventure Island series! I'll say, the AVGN discount sounds [bleep]ing tempting to me. 3Souls is worth the purchase. Tough little game. Good challenge though. Great use of the gamepad, something I don't think we've seen in quite some time!! @OorWullie Konami most likely wanting more moneys. Even the discount for upgrading the games are just 50%-ish instead of the NES/SNES/N64 discount. @Pahvi Konami brought and absorbed Hudson which owned the rights to the TG name and a good chunk of the library, so Konami is now responsible for releasing TG stuff. Street Fighter Alpha 1 appeared on the Game Boy Color... remember? @Angelic_Lapras_King Yep it seems so.It's not exactly much extra but it's the principle of it.I'd understand the extra cost if it were a TG16 CD release but R-Type is as old as they come.As for the extra cost for upgrading them I assume it's because of the added features of widescreen and the turbo buttons. The Curve Digital sale is advertised on the eshop as lasting until the 28th but they are all the usual price still. Anyone else having this issue or are people seeing the games as on sale? I assume the Mystery Case Files have been awful selling games so plunge so low in price. Although based on reviews this new sale price, I assume in NA it will be $1.49, I will still pass. @OorWullie For R Type, its probably 1 of 2 things. 1. In Japan originally it was released as two separate games on the TG, although it was released as a full game everywhere else, so that might be the excuse here. @HCFREAK Usually, the games/discounts listed don't go live until Thursday at 2/3 pm. For Europe, the details are given on the preceding Monday, though there may still be some variations according to country. Edit: You mean you can't find it at all, don't you? Apologies, I'm an idiot. Why are there non Nintendo consoles being added to the Virtual Console? @LeRaposa the Wii had at least five non Nintendo consoles on vc. I'd rather get TG games on 3DS but I guess Wii U is fine too. It's not like I'll be getting too many TG games anyway. I don't know many TG games but I played Bonk and some other games when I was 6 or so. I have Ys on Wii VC thanks to HappyConsoleGamer but I never got anything else. I'm interested in Bonk and Adventure Island but I'm in no hurry to get them. Turbografx games, huh? Better late than never, I suppose. Definitely getting R- Type... again. Nothing for me, which is not on the list. Nothing for me, AGAIN. Why is this not a poll option? Count me Turbo-hyped for Turbografx games! I had already lost hope on Wii U VC, but will be downloading New Adventure Island and Bonk's Adventure. I hope Bonk's Revenge is added soon, I want to upgrade that one too. Why is it not possible to vote for "Nothing" anymore? If I lived in the U.K. I would pick up super street fighter II! 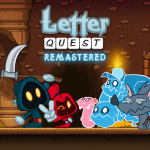 I'd totally recommend Letter Quest Remastered, i've sunk over 30 hours into the Xbox One version which I picked up for a couple of quid and was only expecting to get a few hours play out of it. Best way to describe it would be a turn based RPG crossed with Scrabble, with a pretty awesome soundtrack to boot! So uh, why did it take them four years to release TG16 games to the VC again? @Angelic_Lapras_King I knew Hudson had been heavily involved in TG-16, but not that they owned the right to the name etc. - I remember hearing NEC more when referring to the actual hardware (as in, having heard the system called NEC PC-Engine or NEC TurboGrafx-16) , but I guess I was wrong then? Nothing for me this week. Just gonna continue playing Splatoon and Tokyo Mirage. I'm hoping for 3-both, but I'm somewhat pessimistic about the chances of that. @Pahvi They did partner with Hudson but despite the PC Engine being a big success in Japan, its successor the PCFX was a huge flop which ended up making NEC leave the videogame market. I dunno the technicals behind it, but Hudson did make a large amount of games for the TG/PC Engine so they have the rights to those and I guess the TG/PC Engine branding too, which being in good relations with Nintendo (The good Mario Partys, etc.) meant getting the TG on the Wii VC was pretty easy. The last several years of Hudson being brought up then absorbed into Konami was probably why it took so long to finally get the TG onto Wii U.
I still can't believe the prices on those SNES games. @Angelic_Lapras_King Great response - thank you for this crash course in console history I'd give you more hearts if I could. The prizes on VC.... I absolutely think they would make more money if they put them out at a lower price. As it is now, I also see no reason to upgrade my games from the Wii shop, as they are fully playable in the Wii mode. Yeah, as others have said, I would pick up the TG16 games (& several more, if they get round to releasing them) if the price was more reasonable. Probably a good thing given I'm into Hyrule Warriors Legends, Pokemon Blue and Xenoblade at the moment. Tempted by the TG-16 games, but not at those prices. I'm currently playing through Dragon Skills and Power Disc Slam for review purposes so I'm occupied as it is. Nintendo should focus on pumping out VC this year to make up for lack of retail Wii U releases. And while they're at it, keep the SNES coming to 3DS as well. @lemonjellydude If you've got a My Nintendo account, this is a great opportunity to get lots of Gold Coins. The normal price for the 1€/£ games is over 10€/£ so you'll get 20 Gold Coins for each purchase. That is if Nintendo hasn't stopped giving Gold Coins based on the normal price even if you buy them on sale. Last week it still worked, so it probably works now too. @OorWullie the license holder for the TG16 wasn't the same as the one who put R-Type on other systems, so unfortunately, it comes at a premium. Much better than other, more popular versions, but it is a licensing issue. Nintendo chose to force gamers to pay for that extra fee, hence the increase. R-Type was 800 points instead of the usual 600 when it was on the Wii VC as well. The reasoning they gave back then was because in Japan it was released as two games. Warning! I've played the German release of Secret Files a short while ago. The WiiU port is atrocious. Better get any other version instead. @Mahe I brought one of them on Wii Virtual Console for the SNES and didn't like it much. Maybe I should give this version a go. @wazlon Yeah, the SNES games are different than New Adventure Island. Super Adventure Island is really simple and short (but has great music), while Super Adventure Island II is more like a Wonder Boy/Monster World game. New Adventure Island and Super Adventure Island share the basic formula of the series, but still have different gameplay. The Turbografx game is one of the best if not the best traditional Adventure Island title. @wazlon No problem! Let me know how you like it! @Mahe Hi again, got it and it's a lot better than the SNES version. It's much faster paced and fluid, I like it. @wazlon Great to hear that!